Matchday 4 of the UEFA Nations League will come to an end on Tuesday, as teams from the four divisions continue consolidating their places in their respective groups. The marquee tie of the night will be played in Saint-Denis, when world champions France play hosts to their predecessors Germany at Stade de France. France remain unbeaten since their spectacular triumph at the 2018 FIFA World Cup. But, Les Bleus have flattered to deceive with their performances at times, with Didier Deschamps’ men still not at their best, which was evident during their 2-2 draw against Iceland last week, as they came from two goals down to hold the Nordic outfit. In Group 1 of the top division of the UEFA Nations League, however, France sit pretty atop the table, a point ahead of second-placed Netherlands. But, the same cannot be said of their opponents on Tuesday, Germany, whose struggles see no end. The fallen champions are rock bottom in Group 1 after two games, with their loss to the Dutch leaving their hopes of triumphing in the UEFA Nations League dangling by a thread. The last time Germany met France was in the reverse fixture last month, with the game ending in a drab goalless draw. A similar result though, will spell an end to their challenge in the competition, and perhaps even bring them closer to being relegated from League A. Ahead of the later meeting between France and Germany, The Hard Tackle takes a closer look at the UEFA Nations League encounter. The results may not have been perfectly ideal for Didier Deschamps, but there are absolutely no issues hampering his preparations for the visit of Germany. On Tuesday, the France boss will continue to have most of his core players who led Les Bleus to success in Russia earlier this year, with Samuel Umtiti the only notable absentee. With a win being enough for France to seal top spot in Group 1 of the UEFA Nations League A, Deschamps can be expected to name his strongest eleven and recall a number of players who were rested against Iceland last week. In the absence of Umtiti, Presnel Kimpembe seems to have locked down the place at the heart of defence alongside Raphael Varane. The are no issues in the full-back department though, with Lucas Hernandez and Benjamin Pavard set to complete the back-four, which will provide cover to Hugo Lloris. 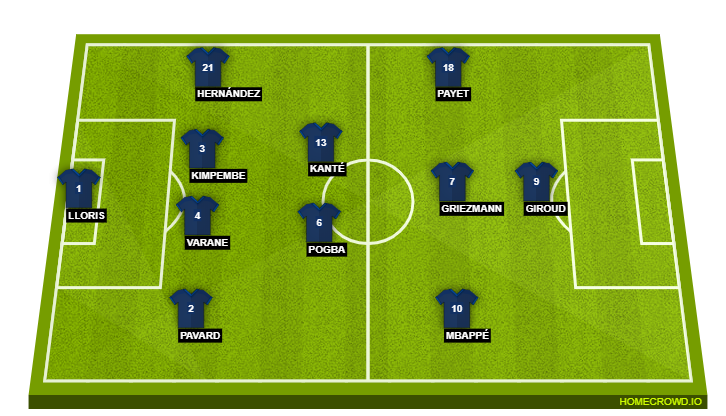 The midfield pivot should provide no surprises either, with N’Golo Kante returning to the side to slot in alongside Paul Pogba, with the likes of Kylian Mbappe, Antoine Griezmann and Olivier Giroud being automatic selections as well. But, the big decision for the France boss will be surrounding the position on the left side of the French attack. Blaise Matuidi has made the makeshift slot his own since the latter stages of the World Cup, and the only form of competition comes from Dimitri Payet, with Ousmane Dembele and Thomas Lemar woefully out of form. On Tuesday, Deschamps could opt for Dimitri Payet to add dynamism to his side’s attack and put more pressure on Germany’s fragile defence. If results on the field weren’t already making things difficult for Joachim Low, the Germany boss now has to deal with a reduced squad as well. 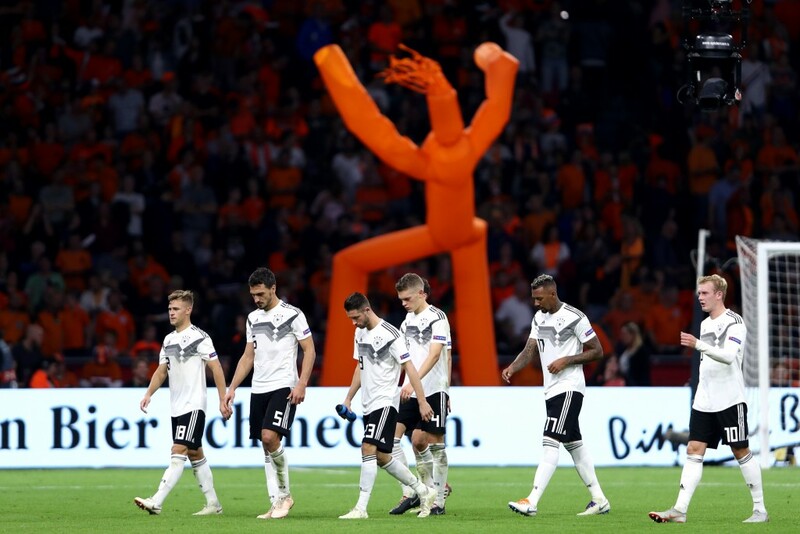 The likes of Antonio Rudiger, Leon Goretzka, Kai Havertz and Marco Reus pulled out ahead of the loss to Netherlands. The quartet has now been joined Jerome Boateng on the sidelines, with the Bayern Munich superstar sustaining a calf injury in Amsterdam. The experienced defender might have been dropped anyway, but his place is now likely to be taken by Niklas Sule, who should give Mats Hummels company in the central defensive partnership. Jonas Hector and Matthias Ginter are expected to be the full-backs, although the duo need to do more in the wide areas, particularly on the defensive front. Low could also revert to a 4-2-3-1, picking Leroy Sane and Julian Brandt to provide an injection of pace on the flanks. But, the Germany head coach will demand more from experienced heads, Toni Kroos and Thomas Muller, with the duo failing to deliver for quite some time now. 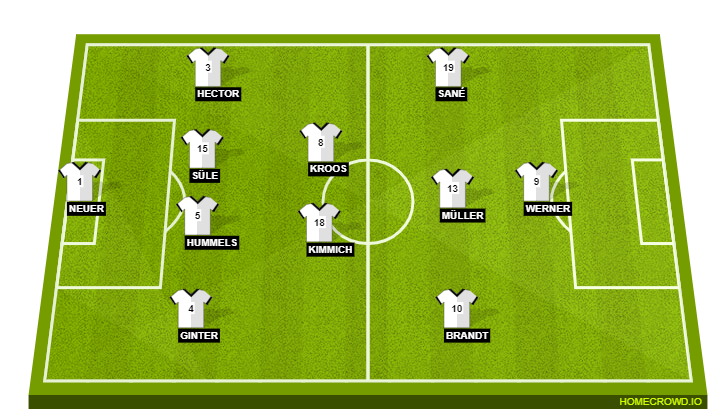 Kroos and Muller will be key during build-up play, while Timo Werner should be reinstated upfront as the central striker, with the slot on the left flank not quite suiting him. France are unbeaten in their last four matches against Germany (W2 D2), with Die Mannschaft’s last win over their hosts coming in 2014. The recent form of the two sides couldn’t be more contradicting, with France not losing any of their last 14 games. By contrast, Germany have been defeated in five of their 10 matches in 2018 (W3 D2). Germany could end up losing successive competitive games for the first time since 2000 if France get the better of them on Tuesday. The 3-0 loss to Netherlands meant that Die Mannschaft have failed to score in three consecutive matches for the first time in their history. Timo Werner is without an international goal in his last six outings for Germany. German football seems to be at its lowest ebb, as far as internationals are concerned. After the embarrassing group stage exit at the World Cup, the UEFA Nations League could have helped Die Mannschaft salvage some pride. But, they are now staring at relegation from the top division of the competition. In arguably the toughest stage of his reign as the national side, Joachim Low needs his most experienced men to raise their game. 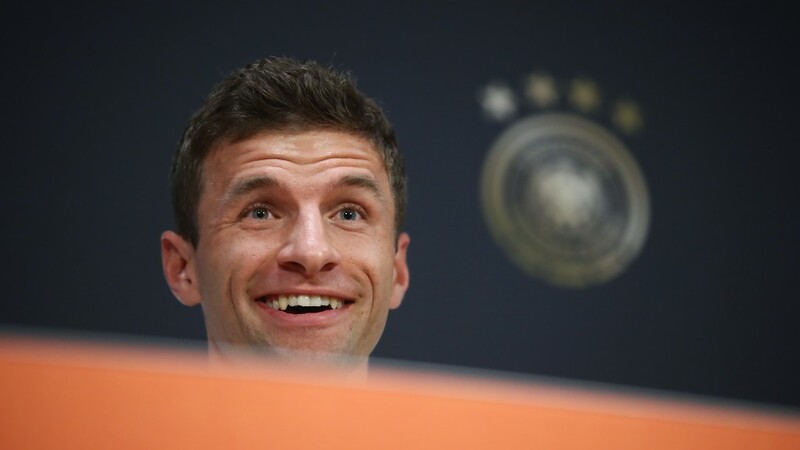 And, the difference in the final third has to be made from the boots of Thomas Muller. Far from his best while playing for Germany of late, the Bayern Munich superstar has the perfect opportunity to allay fears over his form, and a solid showing from Muller could be just the antidote that Low and Germany need. A clash between the last two World Cup winners may sound enticing enough on paper. 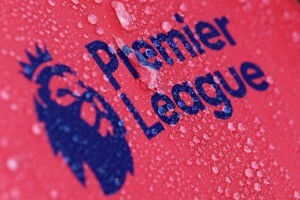 But, introduce the major stakes that are involved on Tuesday, and this tie has all the makings of memorable encounter. A hurting Germany surely has the qualities to inflict damage on a somewhat underperforming French side. But, the major gulf in confidence could make all the difference on the night, and this is where France will trump their visitors. The Hard Tackle predicts another forgettable outing for Germany, which could prove to be the final nail in the coffin for Joachim Low – a 2-0 win for Didier Deschamps & co.